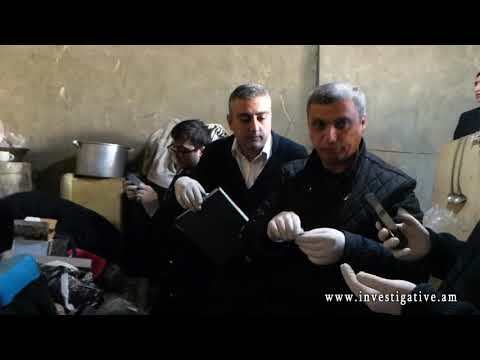 In the result of necessary measures taken within the criminal case investigated in the Investigative Division of Erebuni and Nubarashen administrative districts of Yerevan Investigative Department of the RA Investigative Committee two citizens of Islamic Republic of Iran were arrested on suspicion of illegal procurement, keeping and selling of narcotic drugs. Thus, in the result of joint measures taken by the employees of the RA Investigative Committee and General Department for Fight against Organized Crime of the Police on February 9, 2019 at 21:00 from the crossroad of Rostovyan and Artsakh Streets of Yerevan a resident of Yerevan, born in 1980, previously convicted for illegal turnover of narcotic drugs was apprehended to Erebuni Division of the Police on suspicion of illegal procurement, keeping and selling of narcotic drugs. On the same day at 21:00 from the same place two IRI citizens, born in 1980 and 1971, were also apprehended on suspicion of illegal turnover of narcotic drugs. Another citizen of Iran, born in 1959, as well as the taxi driver who had driven him to the mentioned place was also apprehended. The latter presented the inquest body a leather bag stating that it belonged to the passenger – the IRI citizen. Through its inspection electronic scales and 5 little polyethylene bags with 52.06 grams of crystal mass similar to drug of “Methamphetamine” type were found. Through personal search of IRI citizen, born in 1971, about 1.73 grams of mass similar to drug of “Heroine” type and 0.60 grams of mass similar to drug of “Hashish” type were found. 70.87 grams of brawn mass similar to drug of “Heroine” type in a polyethylene bag, 5,49 grams of whitish mass similar to drug of “Methamphetamine” type and 1.30 grams of mass similar to drug of “Heroine” type, 1.44 grams of mass similar to drug of “Heroine” type packed in paper, 0.37 grams of dark half-burnt mass packed in foil, as well as plastic pipe with burnt edges was found with the IRI citizen, born in 1959. The mentioned masses similar to drugs were given for examination and according to examination result the masses of 1,5 and 68,81 grams were drug of “Heroine” type. 5.1 grams of crystal mass was drug of “Methamphetamine” type. Traces of drugs of “Methamphetamine” and “Heroine” types were found on the surface of blue polymeric rod. Traces of drug of “Heroine” type were found on the surface of silvery foil. Through search of apartment of IRI citizen, born in 1959, 89.6 grams of powder-like mass similar to drug of «Heroine» type, 0.62 grams of crystal-like mass similar to drug of «Methamphetamine» type, a white polymer rod for using drugs, 2 plastic containers with mass of 121,23 and 53,21 grams with special odor were found. Forensic material examination was also commissioned on the mentioned drugs found through search. IRI citizens, born in 1971 and 1959, were arrested on suspicion of committing crime envisaged by the Point 2 of the Part 3 of the Article 266 of RA Criminal Code. Preliminary investigation is ongoing. Necessary investigatory actions are taken to find out the source of procurement of drugs, to provide the comprehensive, complete and objective investigation of the case.